Do you ever think of customer service as a marketing effort? If not, you should. 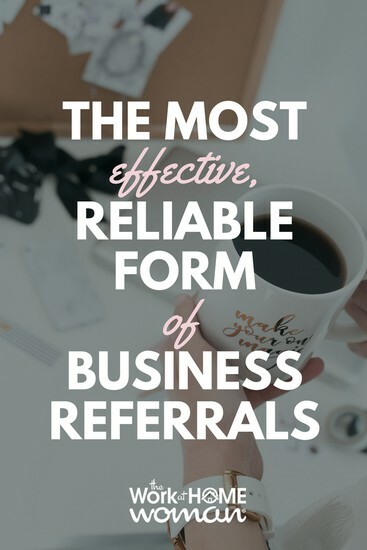 Word of mouth is one of the most effective, reliable forms of business referrals. If you don’t have excellent customer service, customers and clients will be less likely to talk positively about you, in turn, hurting business. In the age of social media, word of mouth can travel lightning fast. If a customer perceives their experience as negative and decides to share that, online or in person, it can do irreparable damage to your reputation. A little niceness can go a long way. I learned that long ago when I waited tables in college. Those lessons still influence both my professional and personal lives. Excellent customer service should envelop every aspect of your marketing plan. And, it’s not only important that you are considerate but also available and accommodating to your customers. The benefits are enormous. Your website should list not only an e-mail address but also a phone number so that you can be reached if needed. If someone can't contact you with a question, they most likely aren't going to feel comfortable sending their hard-earned money to you. I’ve had a few clients recently have lots of success with the instant chat options, or even the click to leave a voice message. Be creative and think outside the box. Most of all, make it convenient for your customer. On Facebook Messenger, it blatantly displays how quick you are to respond to inquiries. This says a lot about you without saying much at all. Often I receive messages that aren’t necessarily meant for me or sent to my page by mistake. I try to make a point to respond to all messages, regardless, within a reasonable amount of time, so that my response time shown doesn’t suffer. This is also a good reason to set your automatic out-of-office replies. This way, potential customers know why if they don’t receive an immediate response. This goes hand-in-hand with being accessible. I know you have your own, busy life with kids and tons of responsibilities. And, I'm not saying that you need to respond to every e-mail within minutes of receipt, but within one business day is a good goal to strive for. And, better late than never. Life happens; so if you are a little behind on answering e-mails, be sure to still answer them. Usually, they will understand. I sometimes receive pitches or offers that I am not interested in. Even if my answer is no, I attempt to respond to the sender. This is a common courtesy and one I would expect if the situation were reversed. You can even use canned responses like Michael Hyatt does, so that you're saying no with grace, yet, not wasting time. You’ll see a trend throughout this article; treat others how you’d like to be treated. Don't argue; it's not worth losing a customer, or future customers over. Even if you don't feel as though you did anything wrong, be understanding and helpful. Do your best to make your point kindly. Argumentative attitudes tend to hurt business more than they help it. The adage that the customer is always right is a good thing to remember. Even when they’re not, it usually makes better business sense to concede gracefully than to appear inflexible or rude. When a customer contacts you with a complaint or a compliment, listen! What they have to say is important and could give you crucial insight into what your customers want and what they expect. This can only help you! Listen to what they say and take it to heart. Then, use the feedback to make changes for the better or strengthen what you are already doing right. This also a great way to get testimonials that you can use on your website or in your other marketing. If you want to use their name, ask for permission. Customers will usually be flattered that you value their input. Don’t be afraid to ask for the feedback and then listen with an open mind. Once you have a customer, it’s important to keep them. It's the little things, like a thank-you note included with the order, or future discounts for referrals, etc. that will keep them coming back! Again, think outside of the box and be creative. They will remember the unique efforts you make. Recently, I placed an order for a gift with one of my favorite mom-owned businesses. It wasn’t her fault, but her shipment was delayed. Instead of in turn delaying shipment to my friend, she hand-delivered the item. This was possible because she lived within a reasonable distance, but it was also possible because she cared enough to go the extra mile. Situations like this have the potential to make or break a relationship. This is my favorite rule, and I learned it from The Toilet Paper Entrepreneur, Mike Michalowicz. It’s perfect. Overestimate your turn around or shipping time and then wow them with speedier service. This is for sure something they’ll remember and tell others about. There’s nothing better than receiving your item or service quicker than you expected. It’s memorable, and that’s what we all want, to be remembered in a favorable light. If you want more business referrals, try focusing more of your marketing efforts of providing excellent customer service. In the end, it's the little touches that make all the difference. Have a great customer service story to share? We’d love to hear it, tell us about it in the comments. Originally published February 26, 2013. Content updated August 1, 2018. Dawn Berryman is the founder of MarketMommy.com and Market Mommy:: The Blog, online marketing resources for mom entrepreneurs. 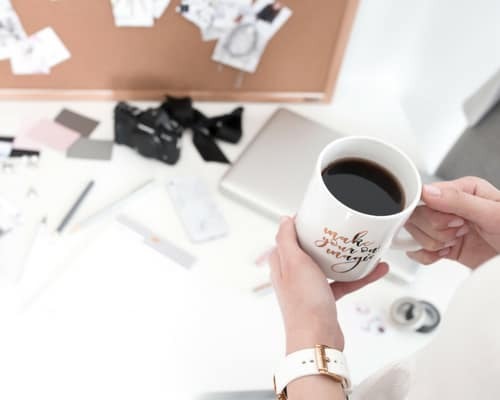 Market Mommy shows moms how and where to market their businesses. She holds a B.A. from Indiana University and has worked in the marketing/communications field since 2002. She resides in rural Ohio with her husband and three children. For more information, please see: Market Mommy.